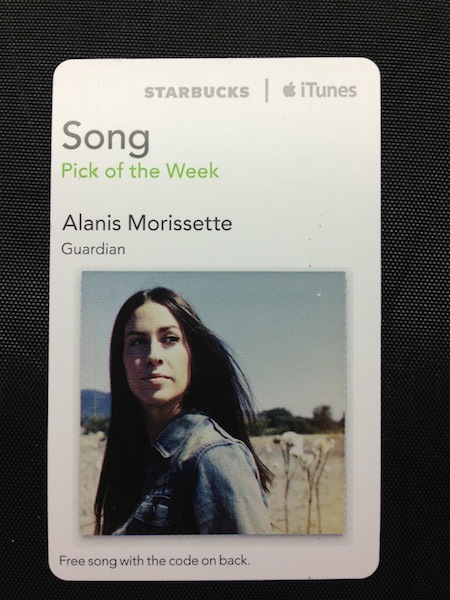 10/04/2013 · Starbucks has announced a change to its iTunes Pick of the Week program. Previously, the program offered cards in stores with a redemption code for an app, song, book or TV show.... 17/10/2011 · The offer, which launches today and is called ‘Pick of the Week’, allows all Starbucks UK customers access to a free download on iTunes. The Starbucks app is a convenient way to pay in store or skip the line and order ahead. Rewards are built right in, so you'll collect Stars and start earning free drinks and food with every purchase.... 1) Download the Starbucks app from the App Store. 2) Open the Starbucks app and tap the “Messages” tab. 3) Find the Five Minute Journal as the Pick of the Week. Starbucks declined to comment on the addition of apps, including whether this takes the place of or simply joins music tracks as part of the Pick of the Week program. Apple did not immediately... Day One was selected as Starbucks’ Worldwide App “Pick of the Week.” For those of you who were lucky enough to get a code for a free copy of Day One during this promotional period, the code is redeemable from February 3, 2015 to April 28, 2015. In a move that is likely to make most of the iDB staff weep for joy, Starbucks and Apple have just started a new promotion. The deal allows Starbucks customers to download a free application as they sip on their beverage of choice. I’ve been testing the Starbucks South Africa app since November last year but couldn’t mention it on any social platform, until today (1 February), the official launch date. Earlier, we declared the Starbucks Pick of the Week a free apps bonanza. Today, I’m here to confirm that the weekly free app from Starbucks has officially been discontinued. 13/01/2014 · Love Starbucks’ “Pick of the Week” promo? 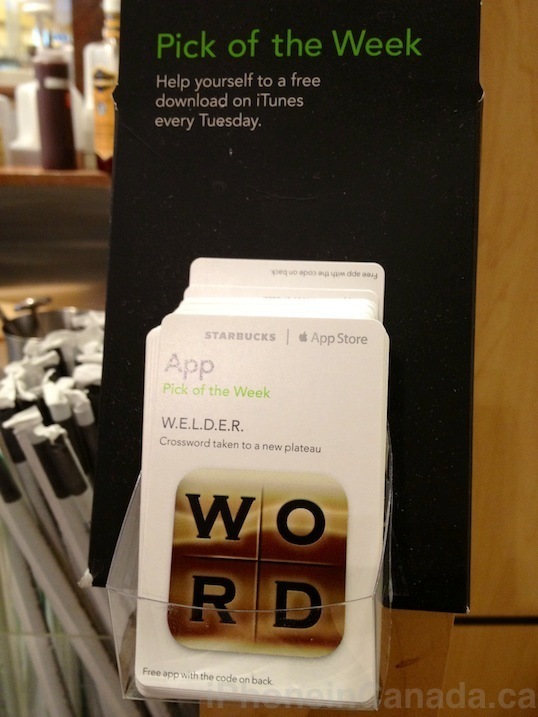 Since its inception, this neat promotion has been giving Starbucks customers a free download on iTunes every Tuesday. 17/10/2011 · The offer, which launches today and is called ‘Pick of the Week’, allows all Starbucks UK customers access to a free download on iTunes.